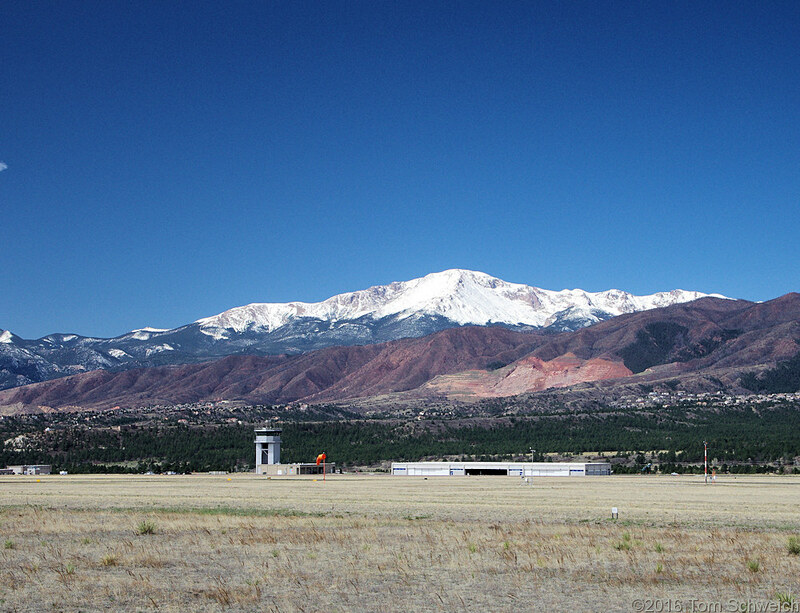 Photo: Pikes Peak from US I-25. Eastern Mojave Vegetation Pikes Peak from US I-25. US Interstate 25: at view point. Other photos about Geography - Colorado or Pikes Peak.